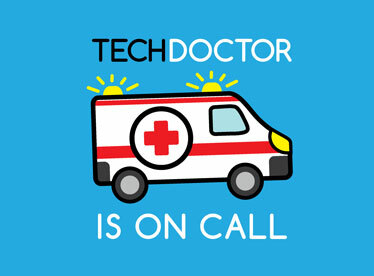 Tech Doctor has solutions available to meet your needs and can offer complete solutions for your on and off site backups. Have you lost critical information or suffered from a hard drive crash without a backup? We have in house data recovery specialists and we operate a no data, no charge policy. Tech Doctor is built on the experience of technicians with over 10 years of home and business support. We are passionate about IT support and solving all manner of technological problems. Tech Doctor is committed to excellence, both in the technical support and services we offer, but also in our communication and customer service. We pride ourselves in being able to translate and explain even the most complicated, jargon filled problems, into simple, easy to understand language. Nothing makes us happier than solving problems and saving the day. All of our specialist technicians love a challenge and no problem is too big, or too small. I'm referring this company to absolutely everyone. I can't get over the amazing service I just experienced and the incredible generosity of this company! 10 stars just isn't enough! The best and no contenders!!! Went to Incredible connection and got no help then spoke to Adam and he gave me faith in technology again!!! Way to go helping us who don't know much about tech and assisting. What absolute wonderful service from Tech Doctor. HIGHLY recommended. They got my data back and had me up and running in no time. I will recommend them to anyone!